Obesity hypoventilation syndrome (OHS) – a big word with even bigger consequences. What does this inflated term mean? 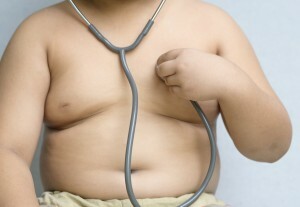 OHS is a condition in which severely overweight people fail to breathe fast enough or deep enough. This results in lower levels of oxygen (O2) in the blood stream and higher levels of carbon dioxide (CO2), the waste product of metabolism. One of the complications of this disorder is that people with OHS experience frequent night-time awakenings because they completely stop breathing for short periods of time. This leads to continuous sleepiness and poor concentration during the day. All in all, the disease puts a huge strain on the heart eventually leading to heart failure. Men are more prone to the development of OHS than women. Most people are diagnosed between 40 and 60 years of age. People with OHS experience decreased oxygen levels and increased carbon dioxide levels during the daytime. They often report moderate to severe shortness of breath. They are more likely to require hospital admission into the intensive care unit, and more likely to need a tube down their throat and a machine to help them breathe once admitted. There are increased rates of high blood pressure, congestive heart failure, cor pulmonale (right-sided heart failure), angina, and high blood sugar among people with OHS. Moreover, they may experience a decreased quality of life due to symptoms and limitations of lifestyle that are typically associated with obesity and breathing difficulties. Major weight loss is the most important treatment goal for anyone diagnosed with OHS. When it comes to losing weight, it may be as simple as reducing your daily calorie intake and increasing your physical activity. If lifestyle changes are ineffective, you may need the additional assistance of medication and/or weight-loss surgery. Whatever the situation, your doctor will discuss the best weight-loss strategy for your particular needs. Breathing support by way of a machine that delivers a mild stream of pressurized air into your respiratory system to keep your airways open. This may include continuous positive airway pressure (CPAP) or bi-level positive airway pressure (BiPAP). Some people may require the use of supplemental oxygen, however, O2 therapy alone is usually not recommended. If you have severe OHS and require hospitalization, you may need the assistance of a mechanical ventilator to help you breathe. Medications may be prescribed to help you lose weight, although this kind of treatment is less common than others. You should also be careful about taking medications or other substances that may worsen OHS, such as alcohol, sedatives and narcotics. Preventing OHS is as easy – or as difficult – as maintaining a healthy weight. Eating a healthy diet composed of fresh fruits and vegetables, whole grains, fat-free or low-fat dairy products, and proteins such as eggs, skinless poultry, nuts, seeds, and beans is a great place to start. Limiting portion sizes will also help you maintain your daily recommended calorie intake. Staying physically active is also an important aspect of prevention in OHS. Be sure to do something you enjoy and involve family or friends if you can. Refrain from watching too much TV, playing too many video games, or sitting at your computer for long periods of time. Lastly, keeping track of your weight and body mass index will help you reach your weight-loss goals. If you’re not sure how to calculate your BMI, try using the National Heart, Lung and Blood Institute’s online body mass index calculator. “What is Obesity Hypoventilation Syndrome?” National Heart, Lung and Blood Institute. 1/27/2012.